The Packers have been on a playoff run for the past 6 weeks and look to continue moving forward with a game at Lambeau Field Sunday, January 8th at 1:40pm. Here is what you need to know about this Sunday’s playoff game against the New York Giants. Kickoff is at 1:40 PM Pacific time. We do recommend arriving about one hour prior to kick off to allow you to get your seating of choice! We will accommodate as many Packer fans as possible, but we do expect all Packer fans to show their courteousness to the staff at the Mustard Seed and other patrons! Ken at the Mustard Seed continues to provides us a great game day experience for all of us Packer fans to enjoy! Here is some helpful information for Packers fans. 1) We will be the only playoff game starting at 1:40 pm kickoff. 4) Seating will be available throughout the entire Mustard Seed. There will be plenty of seating available and recommend arrival time about 1:10 PM for the game. We look forward to all of you who do join us at Cheers while the Packers are playing in the playoffs. GO PACK GO! 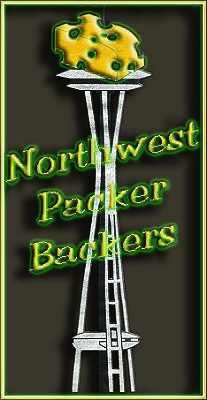 If any Sponsor/Club Member has any questions, please email us at nwpackerbackers@gmail.com and we look forward to seeing you all! GO PACK! We also held the big drawing this past Sunday after the game! Now it is time for players to get ready for the playoffs! Listed below are the winners from the big drawing! Thank you all for your participation! GO PACK GO! Lambeau trip winner – Richard M.
2nd Prize – Rachelle L.
3rd Prize – Eugene K.
4th Prize – Corky L.
See you all on Sunday, January 8th! GO PACK GO!